Day 30: Reflecting On This Story Challenge, including thoughts from fellow NaNoWriMo writers. For day 29 of NaNoWriMo, let's figure out what's next for you and your story. Day 28 of NaNoWriMo. This episode is all about how to capture your creative moments. This is day 27 of NaNoWriMo and today's episode will give you handy tips to keep on writing to the actual end. Today, Day 26, is the day you crush NaNoWriMo. Because you know these three things. This is the 25th day of NaNoWriMo. This episode is all about how to get through the home stretch with your sanity intact! It's day 24 and the final weekend before NaNoWriMo ends. Use these tips to boost your word count all weekend long! For Day 23 of NaNoWriMo, let's discover the shiny in your story! Day 22 of NaNoWriMo - Let's take stock of your writing progress and learn to cultivate a positive attitude of gratitude instead of worry. On the 21st day of NaNoWriMo the challenge is getting real. So real. Let's ensure you're on track to win by the 30th. For the 20th day of NaNoWriMo we'll focus on keeping the 'joy thief' at bay. Day 19: Does Your Story Have a Soundtrack? If set to music what would it sound like? Day 18: Take Time to Back Up Your Story! Here are a few options to make it easy to avoid the sunken place. On day 17 of NaNoWriMo, we're headed into another weekend. It's the perfect time to boost your word count with this Double Up Challenge! Day 16 of NaNoWriMo. Have thoughts that prevent you from moving forward as you'd like? Today we take your writing to the limit and beyond. This is the 15th day of NaNoWriMo. We're now officially halfway through the month and it's time to celebrate! This is the 14th day of NaNoWriMo. We're 14 days in, can you believe that? Are you seeing green about others getting that little green bar? This may mean that you're a competitive writer. We're getting closer and closer to THE MIDDLE. This episode is about adjusting expectations to get you halfway through your novel whether or not you hit that point by the 15th of the month. This is the 12th day of NaNoWriMo. This episode is focused on wellness and how to keep up your physical strength in order to finish your writing challenge strong. This is 11th day of NaNoWrMo. This weekend flew by! If that's any indication of the upcoming week, then today's episode is perfect timing. For day 10 of NaNoWriMo, today's topic is all about discovering and keeping up that mid-month motivation to push through and crush your writing challenge! Day 9 day of NaNoWriMo. This episode is about how to harness the momentum of the weekend and use it to help you write strong through the rest of the month. For day 8 of NaNoWriMo, I have a feeling that you're feeling some type of way about your decision to attempt to write a 50K word novel by the end of the month. Here's how to deal with the change of pace in your life this month. For Day 7 of NaNoWriMo here's an approach to your story that will keep you pumped for each day's writing session. For Day 6 of NaNoWriMo here's an experiment to help you embrace the imperfection in your story writing process. Day 5 of NaNoWriMo we learn about the why, the how, and some tools that will help you to stay focused when writing. Welcome to A Mad Vox podcast NaNoWriMo Edition. People like to use the weekend to do what they aren't able to do during the week. This is the first weekend of NaNoWriMo. This episode is all about catching up. Day 3 of NaNoWriMo brings us a tool that will be immensely helpful to maintain or exceed your word count goal. This is something that can make or break your NaNoWriMo experience! On this 2nd day of NaNoWriMo here are three things you can do now to set yourself up for success! 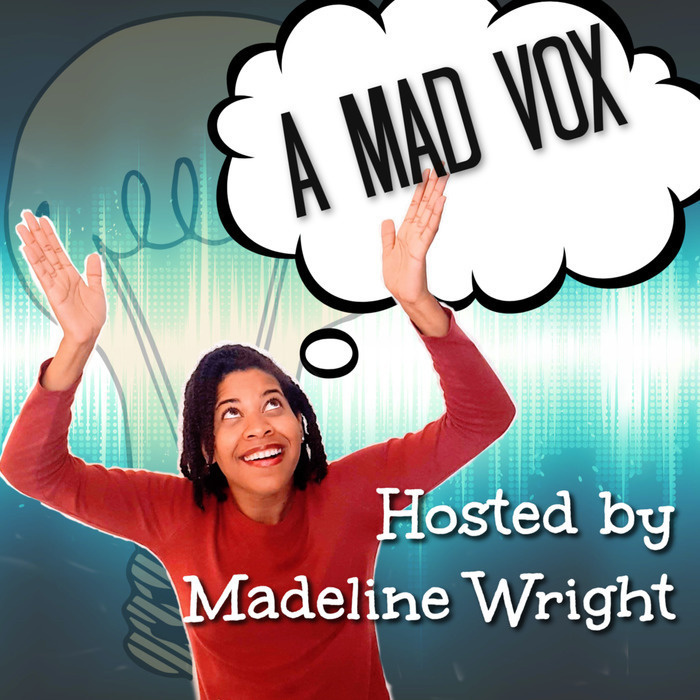 Welcome to A Mad Vox Podcast NaNoWriMo Edition. This is the start of National Novel Writing Month, a super-challenge to write 50,000 words of a novel first draft in 30 days or less. Find out how to participate in this challenge and join in!